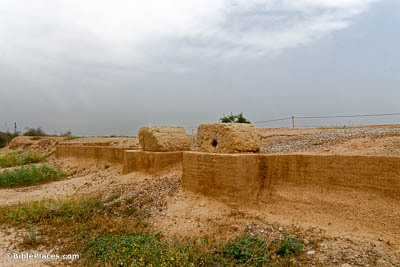 The city of Susa was occupied continuously from the late 5th millennium BC to the 13th century AD. 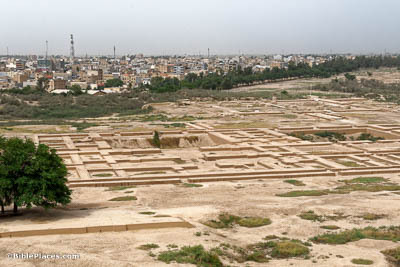 In earlier centuries it served as the capital city of the Elamites, and it later became the administrative capital of the Persian empire under Darius I. 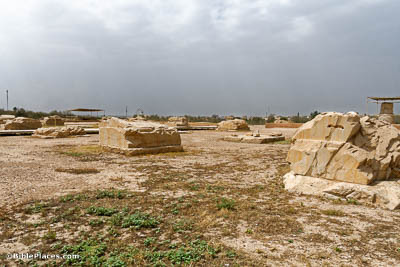 This photo captures the area of the royal complex, where many events in the Book of Esther took place. The author of Esther is sometimes extremely precise when describing locations, allowing us to determine where certain events took place. One example is of Esther’s approach to King Ahasuerus: “On the third day Esther put on her royal robes and stood in the inner court of the king’s palace, in front of the king’s quarters, while the king was sitting on his royal throne inside the throne room opposite the entrance to the palace” (Esther 5:1). Pictured here is a view toward the throne room from inside the inner courtyard—the same view Esther had as she approached the king. 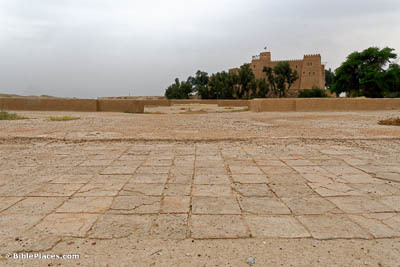 Pictured here are the remains of the palace’s western gate. Originally, this gate led into a courtyard which seems to have been associated with the women’s quarters (“the house of the women” in Esther 2:3). When it says in Esther 2:11 that Mordecai “walked back and forth near the courtyard of the harem to find out how Esther was,” it is is likely that he was passing this very gate. These column bases are what remain of Susa’s magnificent audience hall. In their original glory, each of the apadana’s 36 columns stood about 65 feet (20 m) high and weighed more than 25 tons. 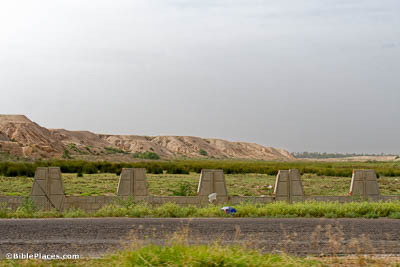 This is the location of Ahasuerus’s huge banquet described in the first chapter of Esther. 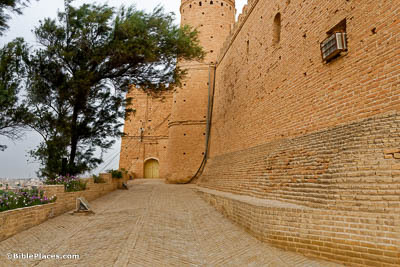 It is also where Nehemiah served as cupbearer to King Artaxerxes. Though much of Susa’s biblical significance comes from the Book of Esther, it is also mentioned elsewhere in Scripture. 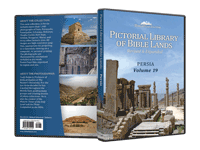 Daniel is transported “beside the Ulai Canal” at the beginning of his vision in Daniel 8. This refers to a canal that ran through the middle of Susa, dividing the royal city (the hills to the left) from what has been called the “lower city,” which can be seen at the rightmost edge of this picture.